A motivational speaker can make or break your event. If they have a relevant and inspiring message that resonates with the audience, it sets up the whole event for success or closes it with a bang. There are thousands of motivational speakers to chose from and it's time-consuming and daunting to search around looking for the right one. With the overwhelming abundance of speakers available, yet very few are exceptional speakers. To make it even more difficult to decipher, some are remarkable speakers with a pitiful online presence and some have very little speaking experience and a knockout website. It's easy to make the wrong choice. Some motivational speakers make it sound like they are the best thing that could happen to you. Let's face it, it's only a speech. They are not curing world hunger or ending war and poverty. It is a speech. Is it to boost attendance and draw a large audience? If so, you may need a celebrity or industry expert. Recognizable public figures or famous people have the name recognition that excites people to attend an event. Is your goal to create a memorable experience? Audiences today need inspiration and hope, a convention is a right time to lift them up with a memorable and impactful motivational speaker. In this case, you can hire a funny motivational speaker or a powerful storyteller. Funny Motivational speakers use humor to elevate emotions and bring the room together with shared humor. Motivational speakers can also be storytellers who have climbed mountains, overcome cancer or were born with a disability, they can use their story to inspire others. 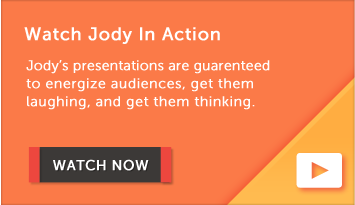 Is your goal to Inform the Audience? You may need to hire a content-rich motivational speaker who is relevant to your current industry and issues. If you have a certain timely message you need to get across, an industry expert could be your best choice. They can deliver the maximum amount of information relevant to issues the audience face. Generally, the earlier the better. High demand motivational speakers will be booked well in advance, so it helps to get them on your calendar. Also, the sooner you book a speaker the sooner you can start to promote and market them. Once you wrap up your current convention, it's a good time to start considering next years headline speakers. Today, it's not uncommon to have calls from committee members or meeting planners looking for motivational speakers for meetings only 60- 90 days out. Although it may not be too late, it's going to be more difficult to secure agendas, develop themes and marketing that close to the finish line. Motivational speakers have a diverse fee range. Most of them don't charge by the hour or the audience size. Instead, they charge a flat fee to speak at your event. Many speakers will charge differently based on length of the program ranging from the keynote( 45 - 90 minutes) to a half day or full day workshop. Novice professional speakers can charge a few thousand dollars and experienced speakers may charge $10,000-$50,000 or more. Thus, it helps to set a budget so that you don't waste time searching for speakers that are out of your price range. Many association meetings earmark around $5,000- $10,000 for a keynote speaker. For this investment, you can find some good quality speakers for your event. The right motivational speaker for an audience with a strong memorable message that impacts the group is worth the investment. Consider the size of your audience: the larger the group, the more people will be impacted, also the more money you can charge. After years of reviewing post-convention evaluations, most often the memorable part of any meeting is the motivational speaker. Also, consider most industry meetings are stacked with dry and heavy content. People can only absorb so much information, they need a break from content to be inspired, laugh and interact with their colleagues. Motivational speakers can balance your content and make it more meaningful and memorable. Thus, whether a motivational speaker is worth it or not really depends on the speaker. Make sure you hire a motivational speaker who has a unique perspective and doesn't just repeats generic things we have all heard before. Make sure they know your audience, have a relevant message and can deliver it with confidence and energy. The National Speakers Association has over 3,400 members, who get at least 20 paid gigs a year. If you are hiring a speaker make sure they have a lot of experience. Once you know your goal of hiring a motivational speaker, the style of motivational speaker you are after, and your budget, now you can start your search. Ask around. Get input from others with similar audiences or goals. Industry associations can ask other states or their national organization for speaker recommendations. Also, check your competitor's conference agendas to see who they are hiring and why. Corporate meeting planners can look at what motivational speakers industry associations are hiring. Contact a Speakers Bureau. Bureaus represent some of the best motivational speakers in the world. Usually, they are people they have worked with before and have a proven track record. They will have a database of speakers to chose from so they can offer you quick variety. Be aware that bureaus do not charge you a fee, but they take a 20 -30 percent commission off the speaker's fee, thus you may have less wiggle room when it comes to negotiating prices. Search Google. Open any internet browser and type in a motivational speaker and you will get thousands of results. The online search may be the most time-consuming way to find a motivational speaker. However, you will discover more options and have the most negotiating power by contacting the speaker directly. It helps to use more targeting search terms based on your objective. Thus, you want to search terms like funny motivational speakers, financial industry motivational speaker or corporate motivational speaker. Once you have a few speakers to chose from dive into their websites and look at program descriptions, their bio, experience, previous clients, and testimonials. The best way to judge motivational speakers that will suit your theme, message and style are by watching their speaking demo video. Your best source to judge a motivational speakers value with your audience is to watch their video and look for longer speaking clips. Observe their confidence with a crowd, energy level, use of humor, audience engagement and message. Many speaker demo videos feature a lot of testimonials, videos of them on talk shows or pictures of them in magazines. While this helps build credibility, what you really need is to see them speak to imagine how they will go over with your audience. Also, consider is the speaker staying current? Do they have a blog or other social outlets where they post content? Have they written a recent book? Are their ideas spreading in different forums on the internet? Once you have chosen several motivational speakers, reach out to them to check their fees, availability, and content. Ask the speaker (or their assistant) to place a hold on your date until you decide which direction you are taking. Most motivational speakers will hold a date for a potential client upwards of 30 days. If another client wants to book that same date, they should contact you to ask to release the date. It is important to check availability before you decide which speaker to hire. Otherwise, you may waste a lot of energy on a speaker who is not available. Ask a speaker for a proposal you can share with your committee. What speech would they give your audience? What are the speech objectives and audience take away points? How will they interact with the audience? What kind of experience do they have with a similar audience? What kind of pre-event research will they do to customize their speech to your group? If you are on a committee share your research with other key decision makers. Be careful not to slow down deliberations with too much feedback and personal politics. Will a Motivational Speaker Negotiate their Fee? Many motivational speakers are willing to work within your budget if it's within reason. You can offer them other trade-offs like exposure, the opportunity to sell books or promote workshops, professional photos, live audience shots and professional headshots ( if you hire a photographer for the event) a video of their speech, or a chance to hang out with your great meeting delegates. A powerful testimonial or personal referral to other events can be a great negotiation tactic. To get more bang for your buck you may ask the motivational speaker to present more than one session. For instance, the keynote speech and a follow-up workshop session. Because they have traveled so far to get to an event, they often don't mind adding an extra session for no charge. Once you have Chosen a Speaker, Reach out to Negotiate the Fee and Get a Contract in place. Many motivational speakers will have their own contract, or they may be willing to work with yours. what happens to the deposit if the meeting planner cancels the event. Who is liable if a Motivational Speaker doesn't show up? The speaker is liable if they don't show up for a speech. This needs to be spelled out clearly in the speaker contract, Unfortunately, I have heard many stories of speakers taking other ( usually higher paying ) speeches and leaving a client high and dry for their keynote speaker. First, ask to review the speaker's flight itinerary before the event, so you know they have the intention of attending. Second, clarify that if they can't attend they must refund the deposit ( not hold onto it for the following year, unless this is negotiated in advance) right away. Third, have a backup speaker just in case. This does not have to be a motivational speaker, delegates will understand it's tough to find a motivational speaker on short notice. Make sure you send your motivational speaker articles or information to help them understand the audience and anything relevant that impacts them. Host a pre-event conference call to discuss the theme and objectives. Finally, offer several people for the speaker to interview to get to know the audience. Once you have hired your motivational speaker, it's time to promote them so you can boost attendance and get people excited about the event. Use social media outlets like twitter, facebook, LinkedIn and more to get the message out. 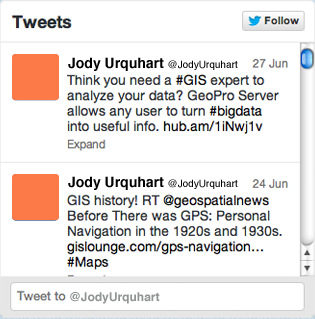 Encourage the speaker to engage with online social media and share your posts. Many speakers will also be willing to write a blog or an article about your event. How do you know your Motivational Speaker Return on Investment? The best way to measure the overall gain from a motivational speech is to have a thorough post-program speech evaluation. Don't bombard an audience with too many questions but ask them their overall thoughts on the speaker, what they will take away and how they will use it. Many conventions like to do this as an electronic follow-up survey after the event. This is easier to administer and capture the data, however, you will get a more accurate response by having attendees complete a survey immediately following the speech. Forward this speech evaluation to the motivational speaker. Following these steps, you can make sure you hire the right motivational speaker, within your budget and the whole process goes smoothly. Should You Hire A Humorous Motivational Speaker Through A Speakers Bureau? 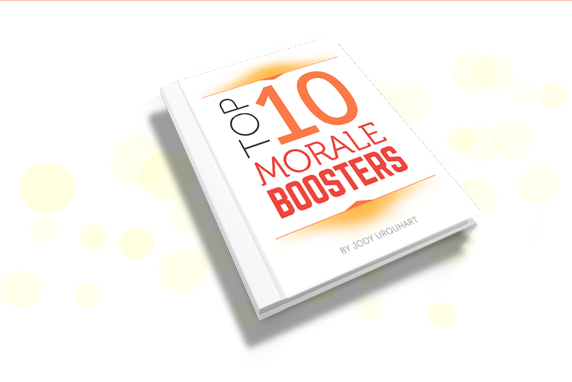 Ten ways to boost morale in your workplace. Download your free guide now.